An 8-year-old boy has been discovered living in a locked shed on a property holding a sophisticated drug lab. Police have found an eight-year-old boy imprisoned in a tiny room in a locked shed after raiding an alleged drug den. It was while raiding the NSW property that police made the shocking discovery. Police say that several hours into their raid as they began to wonder whether the information it was a drug set up was wrong, an officer flicked a switch and startled police watched wide-eyed as the outdoor deck rolled away, revealing a trap door. Down a set of steel stairs was an elaborate drug den unlike any other they had come across – three shipping containers buried into the ground, concealed by the deck and spa and only opened by the hydraulic system. 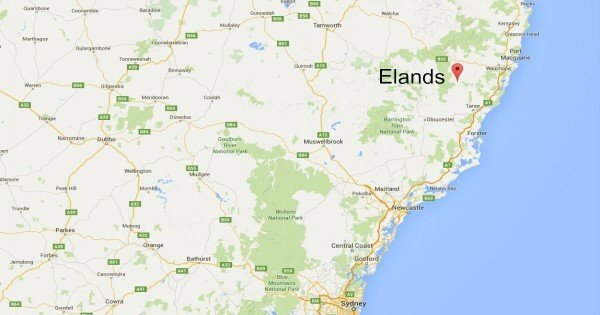 Inside the underground cavern, on the property at Elands, north west of Taree was 222 hydroponic cannabis plants. Police then made a further shocking discovery – a locked shed on the property containing a tiny room at the back and its occupant – an eight-year-old boy. The Newcastle Herald reports that the boy was found in a two square metre room at the back of the uninsulated tin shed, the door was locked from the outside and he lived with only a single mattress and a bucket inside to use when he needed to go to toilet. It is alleged that for weeks at a time the young boy lived in the cramped room only being allowed out for chores. Manning-Great Lakes crime manager Detective Inspector Peter McKenna said police had received intelligence about drugs being grown on the property but had only found the children upon arrival. “The door to the small room in the shed was locked from the outside and police will allege that the boy was mistreated and only allowed out of the shed for chores and sometimes food,’’ he said. The boy is said to have withstood extreme temperatures while was in the tiny room. The eight-year-old and three other children, aged between 12 months and nine years, have been placed into the care of the Department of Family and Community Services. The boy’s mother, 26, and her fiance, 28, were arrested and charged, along with the boy’s 19-year-old uncle. 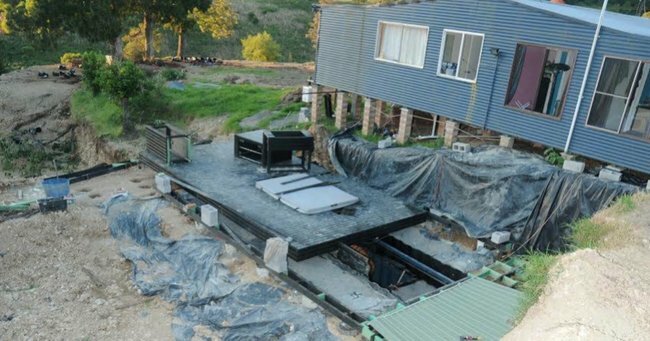 It was alleged that the drug bunker was built from three shipping containers converted into one big room and had over $500,000 worth of drugs in it. “I think it is fair to say it is very elaborate,’’ Detective Inspector McKenna said. The boy’s mother and her fiancé appeared in court over the weekend.